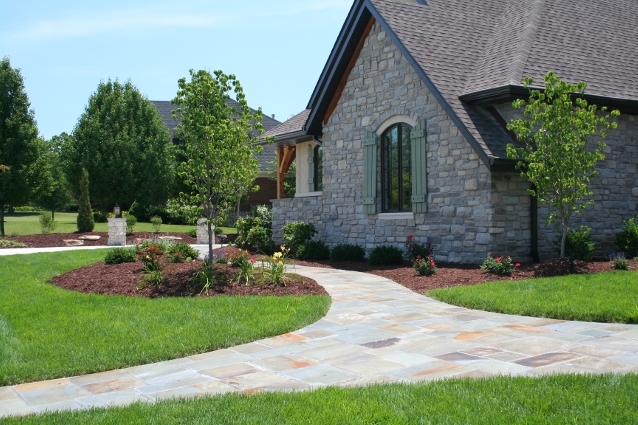 Landscaping, especially with hardscape elements, continues to increase in popularity. Many homeowners are choosing to invest money into their homes by including an outdoor space. For the designers, it is an enjoyable challenge to create an outdoor space unique to the client that is both visually pleasing and usable. Patios, pergolas, outdoor kitchens with fireplaces or fire pits, and pools are just some of the most sought after elements of an outdoor living space. Landscape lighting is perhaps the newest trend in outdoor spaces and becoming increasingly more prevalent. 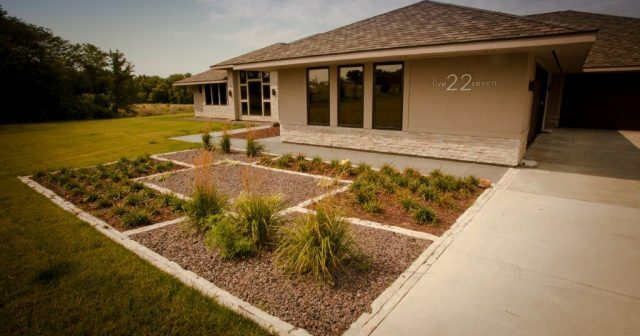 Innovative technology and a large variety of quality material options allow homeowners to work with landscape designers to create intricate designs that enhance the functionality of their lifestyle. Layout and design of an area’s hardscape create the backbone for a usable, enjoyable space. Thoughtful plantings around the area enhance the look and feel of the space even further. The rise of popularity of outdoor living spaces can be attributed to the value they bring to the homeowner now and any future owners as well. Square footage of a home is relatively set in stone, however, an outdoor space can increase the usable space of a home. From a very literal standpoint, adding landscaping with an outdoor living space can increase the value of your home if done on the right scale. Great curb appeal makes an excellent first impression to potential homebuyers. In fact, the majority of homebuyers are willing to spend more on homes with great curb appeal or a backyard oasis. In addition, an extra living space outside can increase your equity and for those looking to sell their home and it can reduce the time your house spends on the market. Landscaping is an investment. Producing a design that encompasses form and function, with year-round interest is what results in the best return on your investment. But economic reasons aside, landscaping can be enjoyable. For many, home is where the most time is spent, so outdoor spaces provide an area for friends and family to enjoy while building equity. 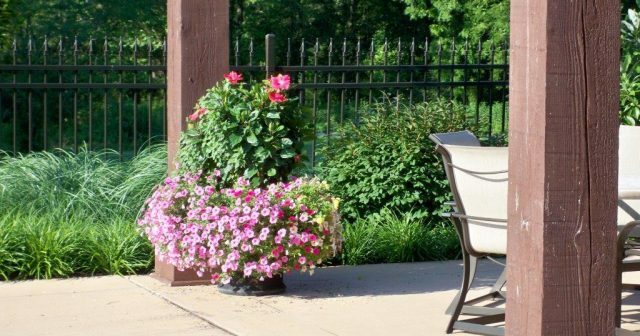 Features can be tailored to your taste, interests, and hobbies for the ideal backyard. The great thing about all the elements incorporated into a landscape design is that they are dual-purpose: visually stunning, yet purposeful. It is similar to remodeling an interior room but with even more elements to consider. With the many varieties of plants, in so many shapes, colors, and textures, a landscape can be beautiful and with hardscapes, fencing and lighting they can be practical and safe. Fencing can be attractive without having to sacrifice security. Landscape lighting is meticulously designed to highlight the best parts of a house and landscape which allows you to enjoy your landscaping well into the evening hours and adding safety and security after dark too. In short, there are many reasons for the increase in popularity of outdoor living spaces, the main reasons being the practical and personal value they can bring to a home and a family that makes it a great return on your investment. Jake Frink is a Columbia native who enjoys working and playing in outdoor spaces. lucky dad of three great kids. 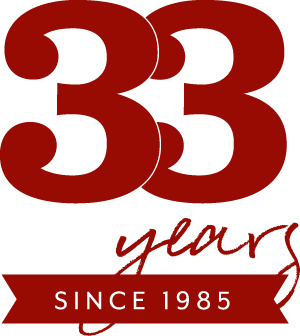 Rost, Inc. began in 1985 with a vision of creating stunning and unique landscapes for central Missouri. Founders Tim and Toby Rost began landscaping while attending the University of Missouri.